European Tour decide to take no further action after former Masters champion is disqualified from Saudi event. Tour chief Keith Pelley says case is closed after Garcia damages several greens. 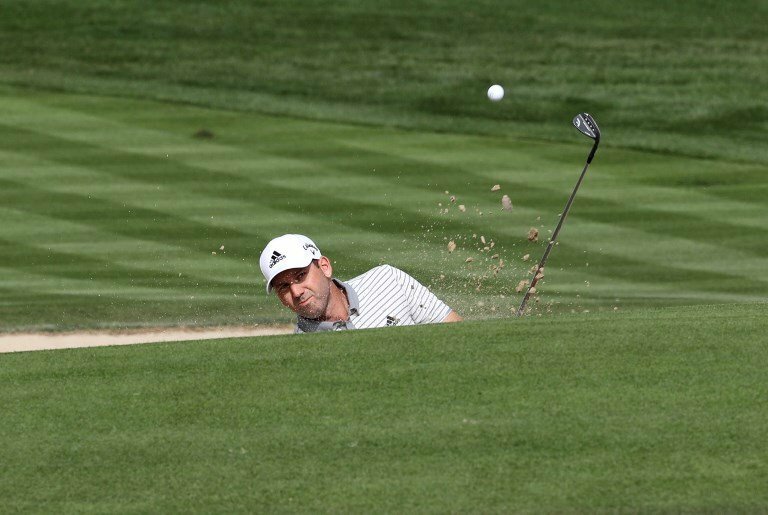 LONDON: Sergio Garcia is set to avoid a hefty fine and suspension after European Tour boss Keith Pelley declared the matter “over” following the Spaniard’s stunning disqualification from the Saudi International. Garcia apologized for his actions and the Spaniard reportedly spoke with Reed and other fellow competitors express his remorse. The former Masters winner was accused of scuffing up six of the opening greens and also leaving a large divot-like mark on the sixth green of the Royal Greens course. And while Garcia has a long history of “misconduct”, it seems on this occasion he will escape any further action. Garcia’s actions were not on film but he was spoken to by tournament director David Williams in the latter stages of his third round. “I went out after the referees had spoken to me,” said Williams. “I managed to catch Sergio around the 12th and 13th and there had been no more damage after nine holes. I told him this was a disqualifiable offense. He was in his game zone, but he listened. We exchanged a few pleasantries and then he nodded and carried on walking. Garcia’s third-round playing partner, Renato Paratore of Italy, remarked: “I was not complaining. Garcia had first displayed his frustration during Friday’s second round when he attacked a bunker following a poor shot ahead of just making the cut by two strokes. Garcia has a long history of petulant behavior dating back to 1999 when he hurled his shoe at an advertising board at the back of the tee during the World Match-Play Championship at Wentworth. In 2010, Garcia was believed to have been slapped with a $10,000 fine after spitting into a hole during the WGC-CA Championship at Doral in Florida. And more recently, Garcia kicked in a metal panel of the scorer’s hut after the third round of the Valspar Championship last March.